It's a source of constant frustration for us that the only place nearby for the perfect American cupcake, light and moist cake with a sweet-not-too-sweet frosting, is the always overcrowded Dean & Deluca. Not only are they overpriced but the service is poor and inattentive. If I'm going to pay money for something, wouldn't it be nice if they deserved it? 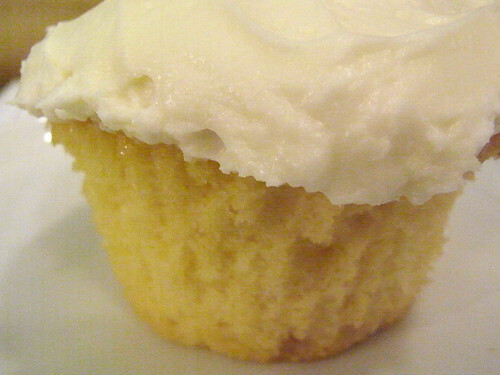 Ok so the cupcake is really truly so perfect that it just about makes it worth it but grrrr nevertheless. You should tell them. Tell them your cupcake story. Really, write them a letter or fill out a comment card or something. It couldn't hurt.